Are you a bride-to-be or know someone who is? 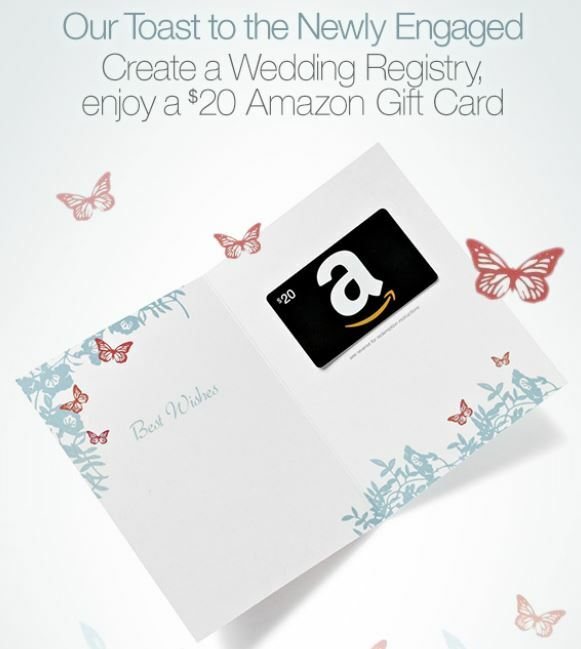 Bridal Guide is offering a FREE $20 Amazon Gift Card when you create a wedding registry. This is a great way to get an extra $20 to spend at Amazon if you were planning to register on Amazon. You can also add items to your Amazon registry from any site with the Universal Registry. Offer valid through 12/31/15, or while supplies last.